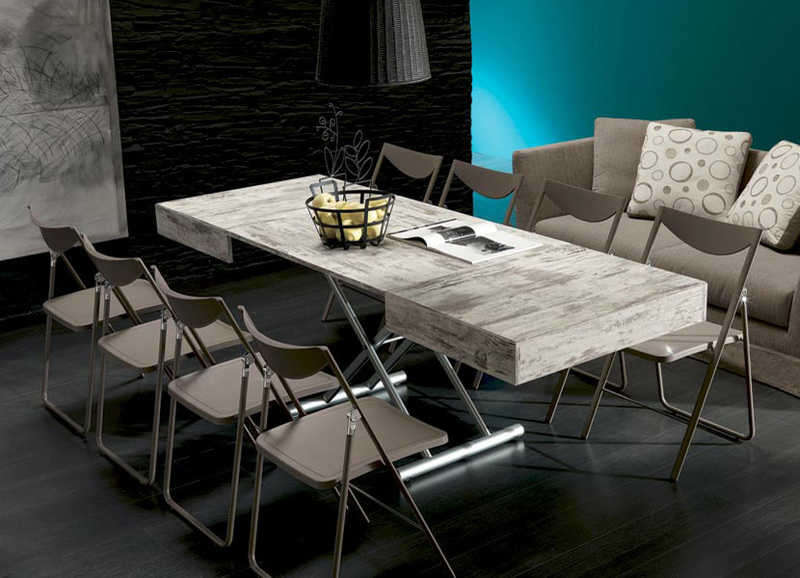 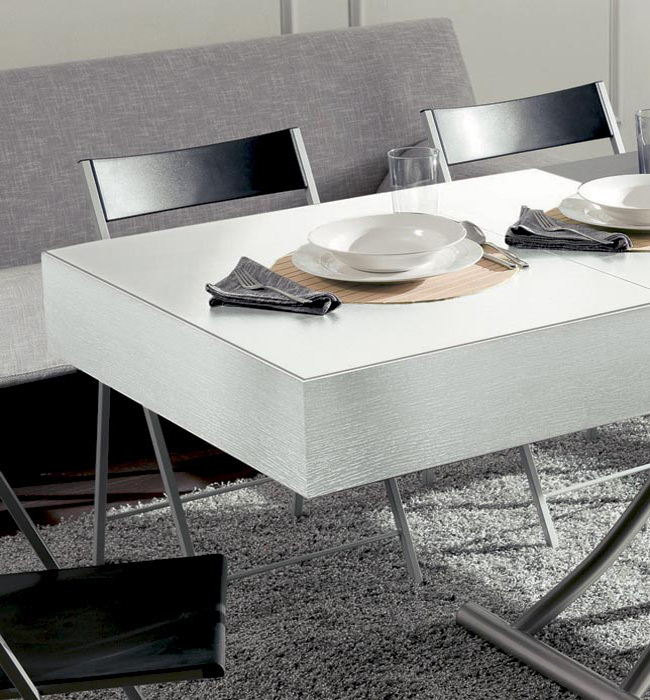 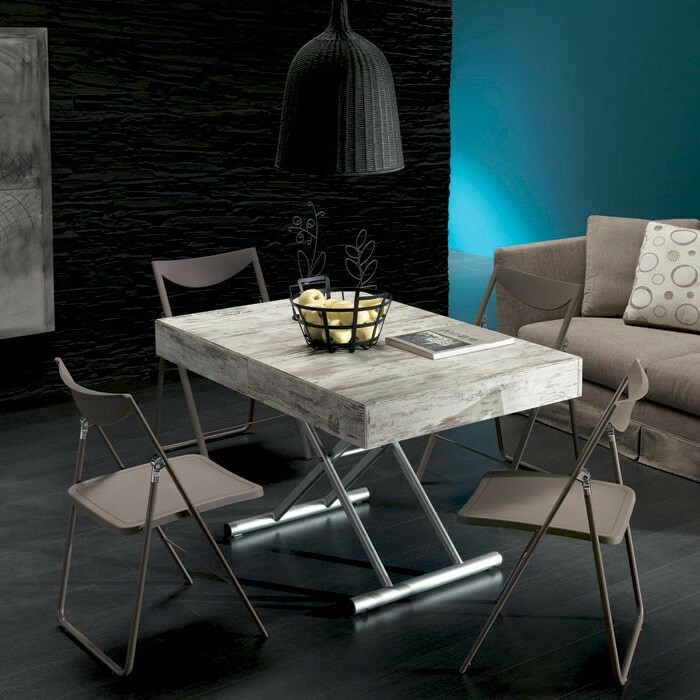 Transformable table, gas adjustable from coffee table to dining table height. 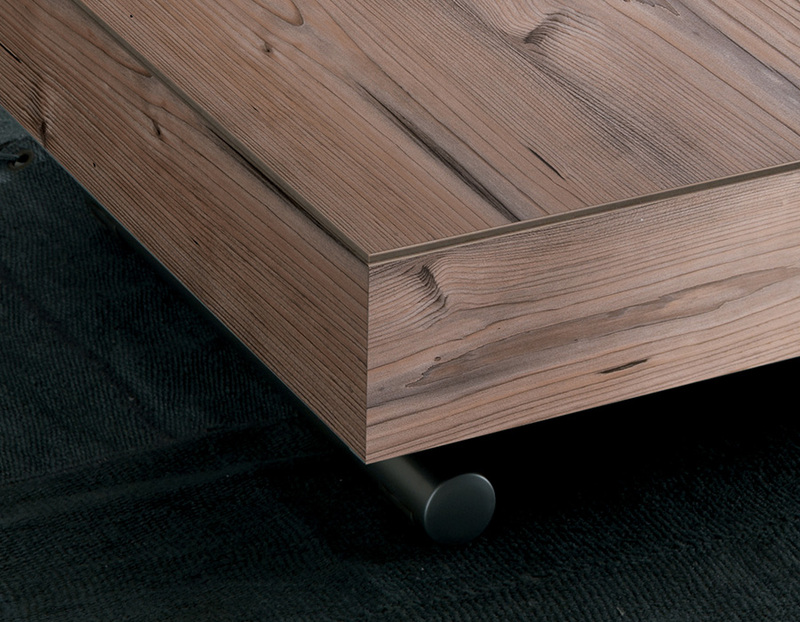 The metal base has a steel-like finish with hidden wheels for ease of use. 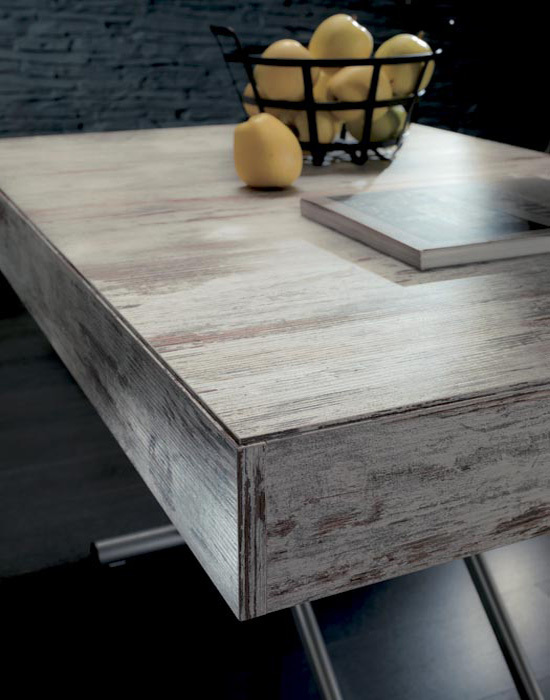 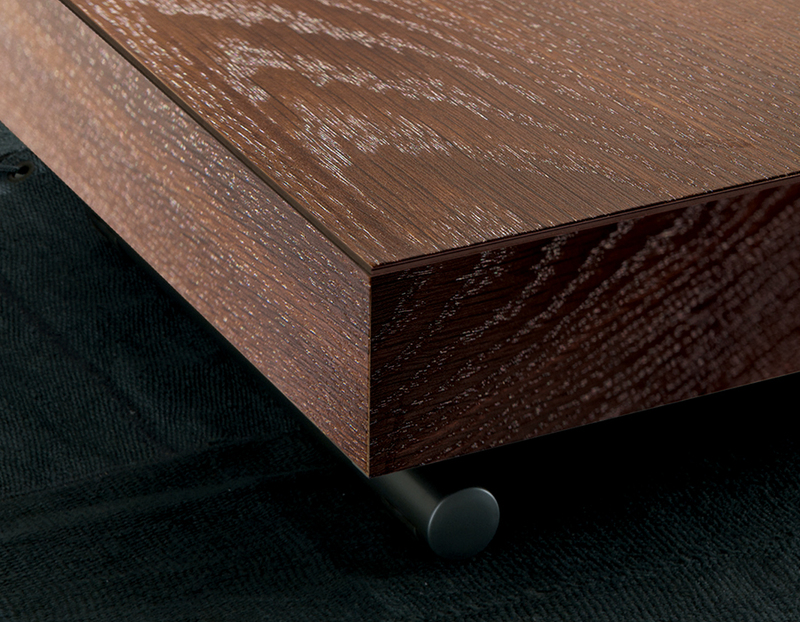 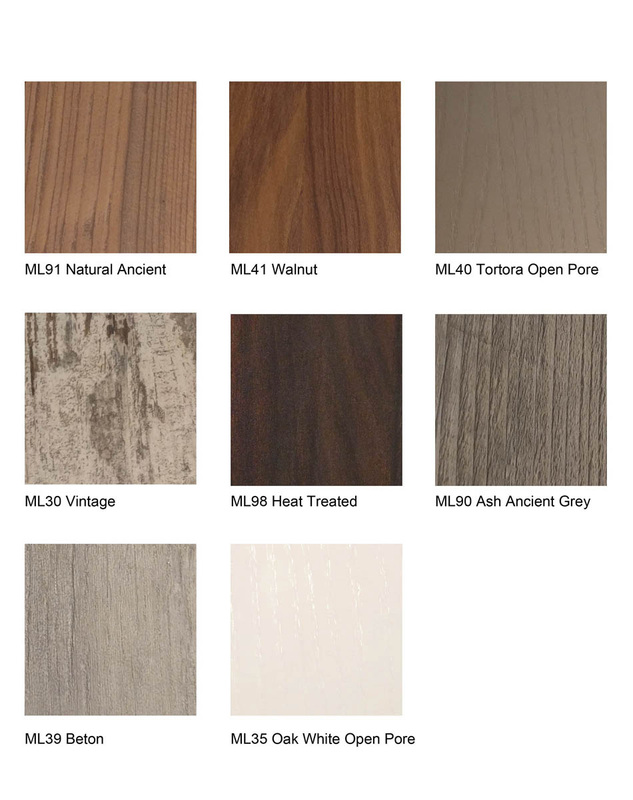 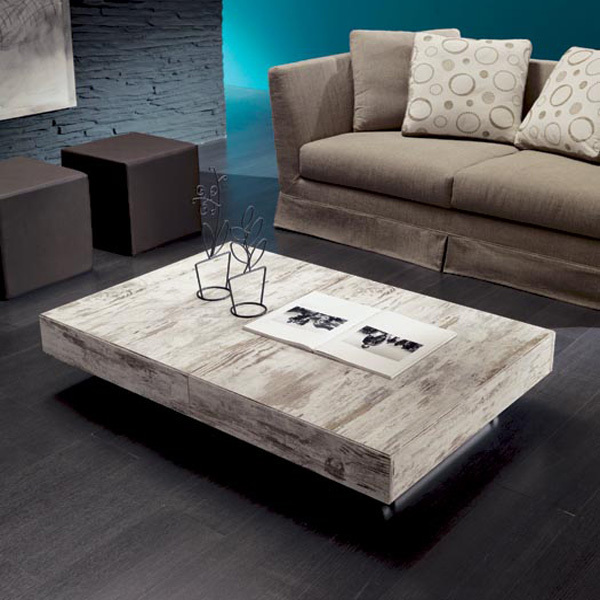 The top and extensions are eco-wood, a laminate material with a wood effect finish. 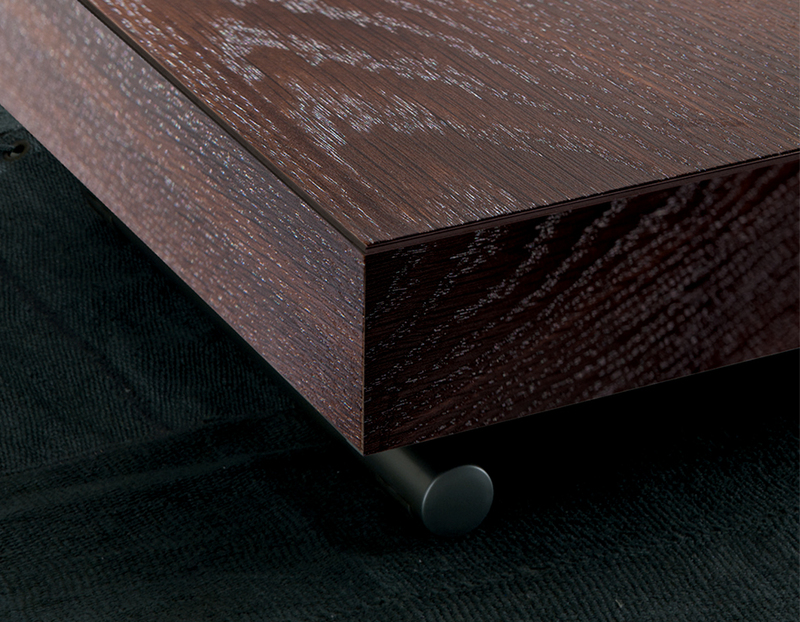 The extensions open together.